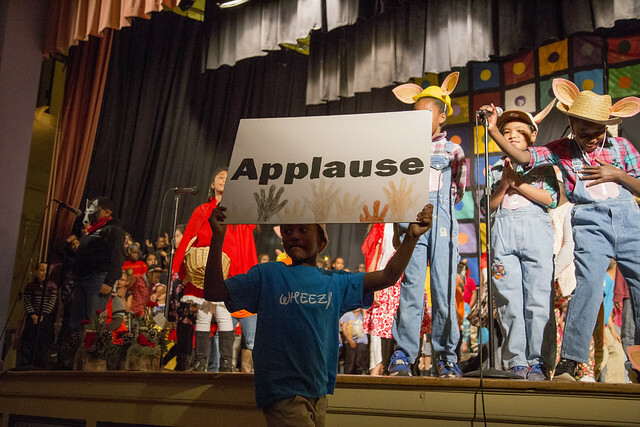 The John F. Kennedy Center for the Performing Arts program, Turnaround Arts, infuses schools with the arts as a strategy to help close the opportunity gap and provide equitable access to arts and music education. Moulton Elementary School will become the sixth Turnaround Arts school at DMPS, joining Cattell, Findley, Harding, Madison and Oak Park on the north side of Des Moines. One more Des Moines school, Moulton Elementary, will join Turnaround Arts, a national program that helps to close the opportunity gap and bolster school reform by providing equitable access to the arts, at the start of the 2018-19 school year. Moulton will be 1 of 84 schools in 17 states and D.C. working with Turnaround Arts, a national education program for the John F. Kennedy Center for the Performing Arts, and is joining five other Turnaround Arts schools in Des Moines. “I believe that the arts have been too long undervalued and underutilized as a tool to engage students and to help them make meaningful sense of their world,” Dr. Tom Ahart, superintendent of Des Moines Public Schools. Turnaround Arts empowers struggling schools with innovative arts, dance, theater and music programs, arts integration across subject areas, arts resources, musical instruments, and high-profile artist mentors, as a proven strategy to help address broader school challenges and turn them around. High-profile Turnaround Artist mentors to be announced at the start of the school year will provide students with a motivational morning greeting, guidance in their artistic endeavors, annual visits to check in on progress, and special arts integration projects. Turnaround Arts schools generally see improvements in math and/or reading proficiency and attendance, and significant decreases in discipline issues following two years of Turnaround Arts’ infusion of the arts into struggling schools. At the start of the 2018 school year, the program will have impacted and be working with more than 56,000 students nationwide. Turnaround Arts started in 2012 as a pilot program in eight schools to test the findings of a President’s Committee on the Arts and Humanities report titled Reinvesting in Arts Education: Winning America’s Future Through Creative Schools. Nationally, Turnaround Arts is made possible by the National Endowment for the Arts and a collaboration of government agencies, non-profit partners, and generous corporate and private donations. Locally, Turnaround Arts expansion in Des Moines is being run by Des Moines Public Schools. Participating schools were competitively selected by program partners according to national guidelines. Selection criteria included demonstrated need and opportunity, strong school leadership with district support, and a commitment to arts education. Turnaround Arts schools represent elementary and middle schools from across the country and encompass a diversity of student demographics in urban and rural settings. In Des Moines, Findley Elementary School joined this signature program in 2012 as one of 8 pilot schools nationwide. Following the initial success at Findley, four more DMPS schools – Harding Middle School along with Cattell, Madison, and Oak Park elementary schools – joined the program in 2014. 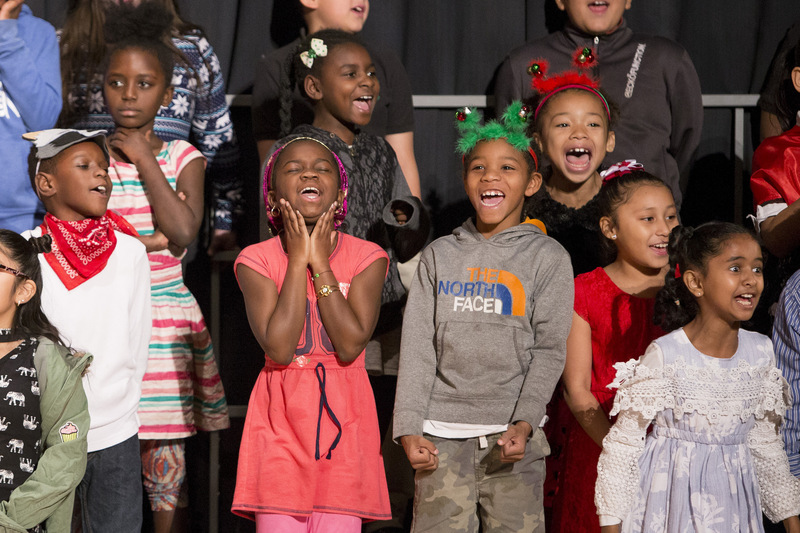 Since becoming a Turnaround Arts site, Harding, Cattell, Findley, Madison, and Oak Park have expanded arts and music programs, produced yearly musicals, engaged local arts organizations in dozens of community engagement events, and worked to integrate the arts into core content classroom instruction. In that time, these schools have seen an increase in daily attendance rates, decreased suspensions, and improved academic growth. Students from the schools recently performed at the Turnaround Arts Talent Show on stage at the Kennedy Center in Washington, DC. All of the Turnaround Arts schools in Des Moines, including Moulton, are in the North High School attendance area. Among the artists who have visited Des Moines to work with DMPS Turnaround Arts schools are Oscar-winning actor Forest Whitaker, Tony-winning performer John Lloyd Young, actor and activist Kal Penn, musicians Cristina Pato and Shane Shanahan of the Silk Road Ensemble, and Grammy-winning artist DJ IZ Avila. For a taste of the arts at Moulton Elementary School, enjoy photos from their performance of the musical “The Granny Awards” in December 2017.